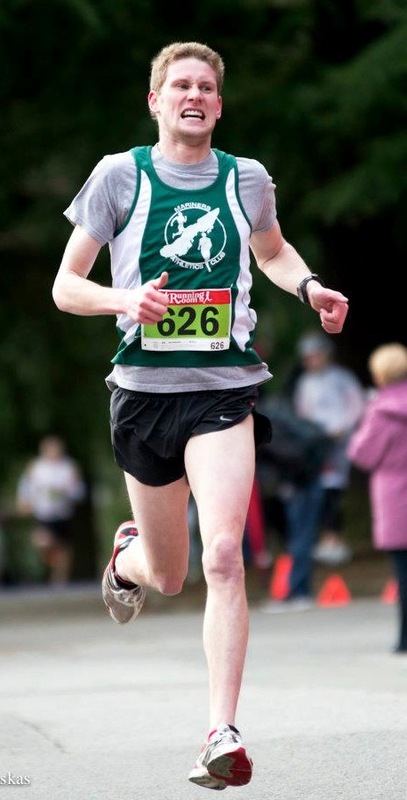 Running as a Mariners Athletics Running Club member, Ryan Brockerville placed 2nd in the Bank of Montreal St. Patricks’ Day 5K Road Race in Stanley Park, Victoria, British Columbia on Saturday. Brockerville’s time of 15:02.34 was just 10 seconds behind winner Mike Sayenko. 1315 runners completed the race.